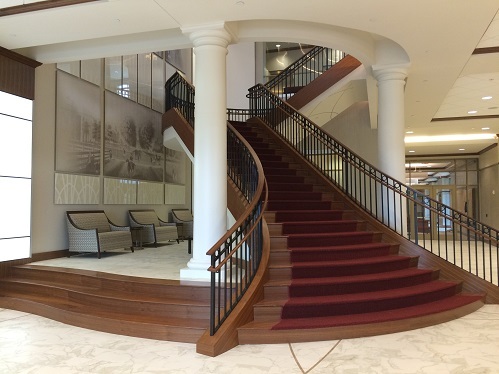 The new University of South Carolina Alumni House is now open and in full operation. This stunning and unique facility created by LS3P architectural firm is already making its mark on the Alumni Association and its members of all ages. From student work and study areas to conference rooms of all sizes, presidential board room and dining rooms, a versatile ballroom, and outdoor patio, this facility offers something for everyone. 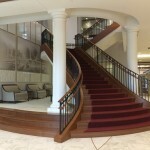 The USC Alumni Center will be a state-of-the-art facility where alumni and students will enjoy social and professional events. 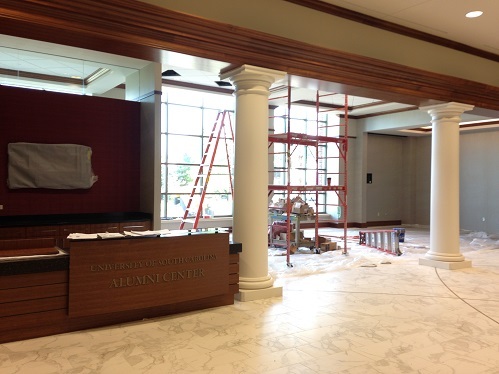 The new USC Alumni Center on the corner of Senate and Lincoln Streets in the Vista is nearing completion! About two years ago, LS3P, the architects and designers for the project, asked us to partner with them on some of the interior design, furnishing, and artwork selections. A charming circa 1920′s stone cottage recently became the setting for a client’s new lifestyle. The cottage has a totally different ambiance than her previous homes and was fun and challenging to transform the vintage cottage into an up-to-date home. 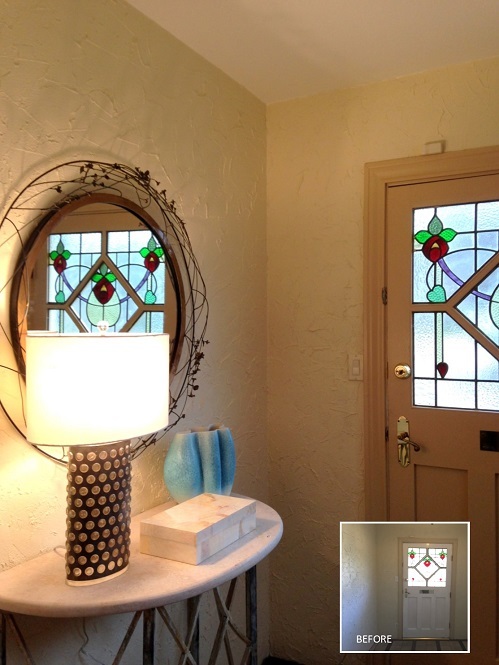 Stained glass windows, hardwood floors and high ceilings were some of the unique features of this home. The whole house was completely repainted inside and out. 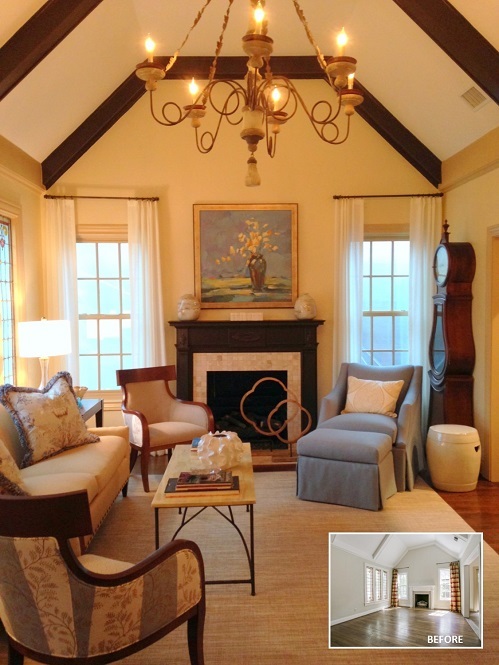 We selected a rich brown for the the fireplace and vaulted beams, and kept the trim and walls neutral. The color palette for the furnishings included soft blues, neutrals, and yellow/gold tones. New chandeliers in the living, dining, and breakfast rooms add warmth throughout the house. This one is made of wood and iron and was stunning in person!